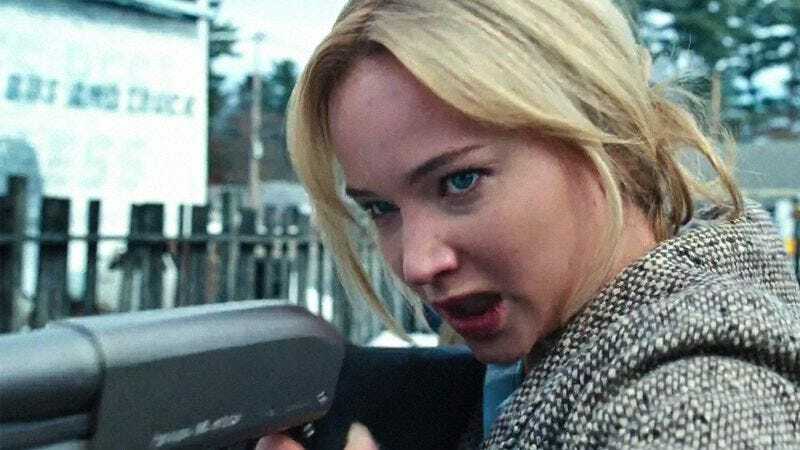 According to Entertainment Weekly, Jennifer Lawrence recently made a bold declaration to director David O. Russell that comes across a little bit like a threat: “I’ll do anything with you until you die,” Lawrence said following a screening of Joy, their latest film together. She then added that her sentiment is “sweet and f—ed up,” with that last part probably meaning “fucked up.” Joy is the third film that Lawrence and Russell have made together, and since the first two were the highly acclaimed Silver Linings Playbook and American Hustle, it’s easy to see why Lawrence is happy to keep working with him. Russell presumably feels the same way, but what if he decides to shake things up for his next movie and casts Emma Watson or Kristen Stewart instead of Lawrence? She says she’ll work with him until he dies, but she didn’t specifically say “until he dies of natural causes in 100 years.” Who knows, maybe he’ll die sooner than that and under suspicious circumstances. We’re not implying anything here, obviously, but who knows what will happen. We certainly do not. Joy will be in theaters on December 25, and we can all look forward to an eternity of Lawrence and Russell continuing to work together. Hopefully.